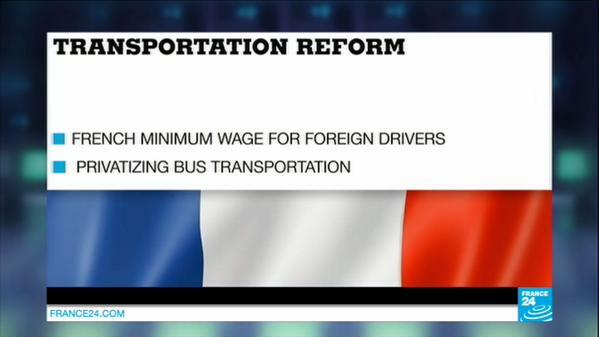 The French government has forced through a new package of economic reforms including a German-style minimum wage rule for foreign truck drivers. Also, the Hybrid Adventure reaches the Arctic Circle. Low oil prices have so far balanced out expensive new EU eco-fuel rules says a report. A Russian driver is fined for letting the dog ride without a seatbelt. A truck driver has 700 litres of fuel stolen in Luxembourg. Also pushing for new EU Agency on freight transport. In a move widely interpreted to put pressure on the European Commission to tackle ‘social dumping’, France will introduce a German-style minimum wage rule for all truck drivers working on its territory. The new measure is part of a controversial package of economic reforms forced through by the French government this evening (Tuesday). Precise details are sketchy, including the date from when it will apply. It adds that Alain Vidal, Secretary of State for Transport, Sea and Fisheries, will ‘continue to promote, within the European institutions and other Member States, a European Agency for Coordination of Controls in Road Freight Transport’. Politics means the new law – called the Macron Act after the economy minister – could be voted down, along with the French government, but that is thought highly unlikely. French transport unions have welcomed the new measure though they are also pushing for the European Commission to ‘redefine’ cabotage rules which govern how much work foreign firms are able to undertake in other member states, currently limited to three jobs within seven days. Germany also introduced a minimum wage rule for foreign truck drivers on 1 January 2015 but subsequently suspended the requirement for transit drivers pending an EU inquiry. The French national minimum age is €9.61 per hour. The European Commission defines ‘social dumping’ as, ‘where foreign firms undercut local providers with lower labour standards’. 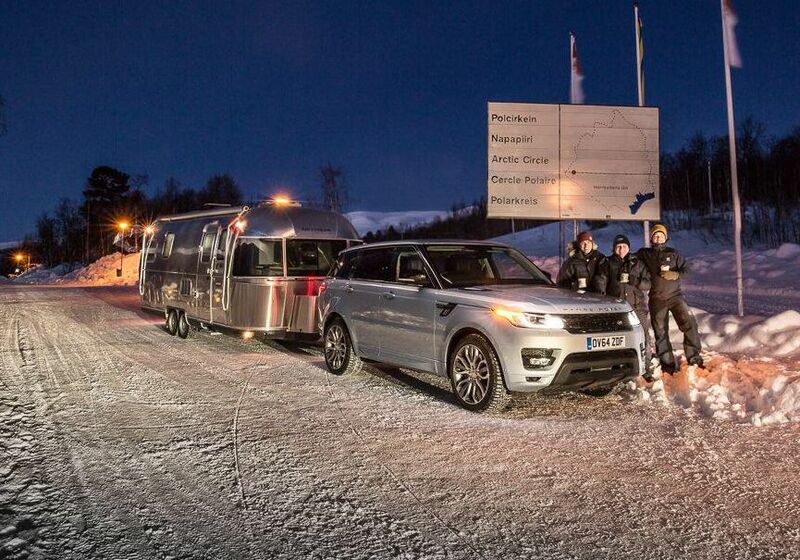 They made it: after ten days, the mad people towing an Airstream caravan to the Arctic Circle – behind a Range Rover Sport Hybrid, hence #HybridAdventure – have arrived, having survived icy roads, sub-zero temperatures and, not least, the terrific, full-blown force 10-12 Hurricane Ole. roundup: RUSSIA. A woman in Surgut, Western Siberia, refused to pay a 500RUB ($8) fine for allowing her Staffie dog to ride in the front seat as, she says, no such law exists reports TASS news agency. Police say the fine is due to unsecured ‘luggage’ rather than pets needing seatbelts per se. LUXEMBOURG. A truck driver returned to his vehicle in Bettembourg after a weekend away to find the radio, mattress, two batteries and 700 litres of fuel had been stolen reports Wort.lu. CROSSING THE CHANNEL. Low oil prices have so far insulated operators from the increased costs of the new EU low-sulphur directive says a report from Drewery Shipping Consultants (via ShippingWatch.com). Fares had been expected to rise by up to thirty percent when the new rules came in on 1 January.